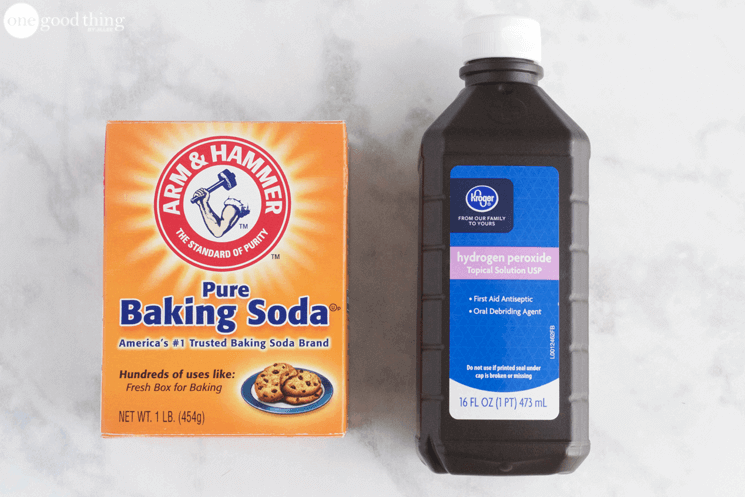 24/08/2018 · Make your own stain remover using baking soda, hydrogen peroxide, and water. Fill a spray bottle with 1 part baking soda, 1 part hydrogen peroxide, and ½ part cold water. Step 1: Add baking soda, then hydrogen peroxide. Sprinkle some baking soda on the baking pan or sheet. Then follow that up with hydrogen peroxide ( see more this wonder cleaner can do!